For nearly two millennia, Christians across the world have wrestled with the exact nature of God the Father and the Lord Jesus Christ—struggling to understand and articulate both their oneness and their individuality. On the other hand, Latter-day Saints—starting with Joseph Smith—have maintained that they are two separate, individual divine Beings who are one in purpose. Theologians David L. Paulsen and Ari D. Bruening have identified five different ways 3 Nephi depicts the Father and the Son as separate, individual beings (see table). Paulsen and Bruening thus concluded, “3 Nephi contains extensive and persuasive evidence that Jesus Christ and His Father are distinct persons.” They also conclude that 3 Nephi “provides strong evidence that the Father and Son are one” only “in a social … sense, involving two persons,” and that “the analogy for oneness appears to be … that of purification, alignment, and divine in dwelling within a community.”While several passages in 3 Nephi speak of the oneness of the Father and the Son (3 Nephi 11:27, 36; 20:35; 28:10), Jesus clarified that the nature of this oneness when he prayed with His disciples. 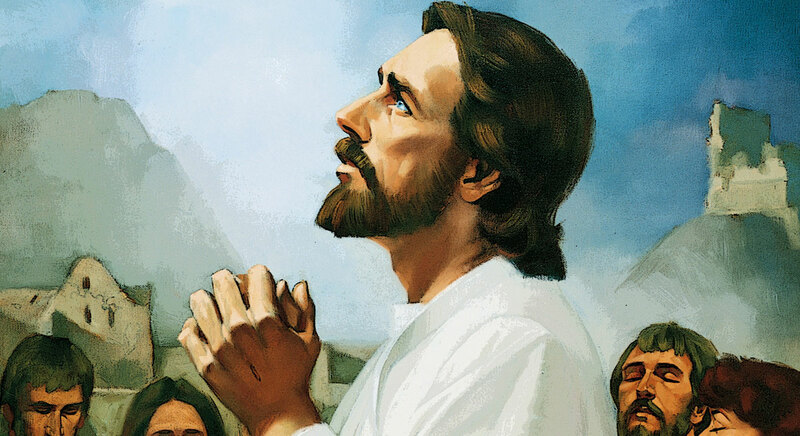 He prayed that His disciples may be one with Him just as He and the Father are one (3 Nephi 19:23, 29; cf. John 17:11, 21–23). Paulsen and Bruening feel that these conclusions can be extended to the rest of the Book of Mormon. Still, they wisely cautioned, “we should not assume that every prophet-writer shares the same idea of God’s oneness” and may even need to admit that some Book of Mormon “prophets … did not have as full an understanding of the Godhead” prior to Christ’s coming among them. This is especially true since Nephite conceptions of deity—like the Israelites, and later the Jews and Christians—were likely shaped in some ways by broader cultural concepts. Understanding the Godhead is no trivial matter. In a discourse given toward the end of his life, the Prophet Joseph Smith taught, “It is necessary for us to have an understanding of God.” The greatest understanding of God comes from deity Himself. Joseph Smith had personal encounters with both the Father and the Son on multiple occasions throughout his life. 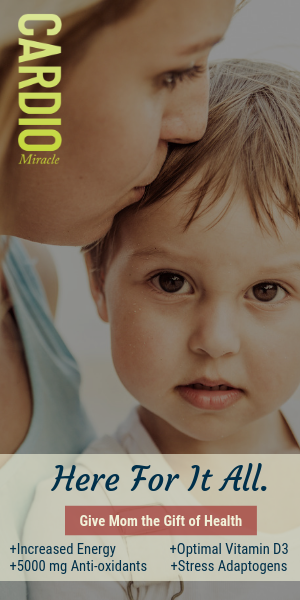 And for most Latter-day Saints and other readers of the Book of Mormon today, 3 Nephi offers the most direct witness from the Lord Himself regarding His own nature, His Father’s nature, and their relationship. To listen to the Book of Mormon podcast on this topic, click here. For a discussion of the different approaches to the trinity within Christianity, from a Mormon perspective, see Blake T. Ostler, Of God and Gods, Exploring Mormon Thought, Volume 3 (Salt Lake City, UT: Greg Kofford Books, 2008), 195–255. For an attempt to situate Joseph Smith’s teachings on the Godhead within this broader conversation on the trinity, see David L. Paulsen and Brett McDonald, “Joseph Smith and the Trinity: An Analysis and Defense of the Social Model of the Godhead,” Faith and Philosophy 25, no. 1 (2008): 47–74. For a conversation on the issue from an LDS and an Evangelical perspective, see Craig L. Blomberg and Stephen E. Robinson, How Wide the Divide? A Mormon and Evangelical in Conversation (Downers Grover, IL: InterVarsity Press, 1997), 111–142. For defenses of the LDS position, see Ostler, Of God and Gods, 257–320; Stephen E. Robinson, Are Mormons Christians? (Salt Lake City, UT: Bookcraft, 1991), 71–89; Daniel C. Peterson, Offenders for a Word: How Anti-Mormons Play Word Games to Attack the Latter-day Saints (Salt Lake City, UT: Aspen Books, 1992), 62–69. Terryl L. Givens, Wrestling the Angel, Foundations of Mormon Thought: Cosmos, God, Humanity (New York, NY: Oxford University Press, 2015), 69–74. James B. Allen, “Emergence of a Fundamental: The Expanding Role of Joseph Smith’s First Vision in Mormon Religious Thought,” in Exploring the First Vision, ed. Samuel Alonzo Dodge and Steven C. Harper (Provo, UT: Religious Studies Center, Brigham Young University, 2012), 227–260; James B. Allen, “The Significance of Joseph Smith’s First Vision in Mormon Thought,” in Exploring the First Vision, 283–306. See, for example, Matthew 20:20–23; Mark 13:32; John 14:28; 20:17; Acts 2:33; 7:55–56; 1 Timothy 2:5. Ostler, Of God and Gods, 259. For analysis of these and other examples, see David L. Paulsen and Ari D. Bruening, “The Social Model of the Trinity in 3 Nephi,” in Third Nephi: An Incomparable Scripture, ed. Andrew C. Skinner and Gaye Strathearn (Salt Lake City and Provo, UT: Deseret Book and Neal A. Maxwell for Religious Scholarship, 2012), 207–212. All examples in the table are taken from this portion of their paper. Paulsen and Bruening, “The Social Model of the Trinity,” 193, 204, 214. Notions of a social, purified, divine community within the members of the Godhead is consistent with Joseph Smith’s own teachings on the oneness of the Godhead, which Terryl Givens described as “a covenantal relationship of unity, in which each has separate functions but each can—and does—represent the whole.” Givens, Wrestling the Angel, 74. See also, Rodney Turner, “One God,” in Book of Mormon Reference Companion, ed. Dennis L. Largey (Salt Lake City, UT: Deseret Book, 2003), 622–623. See Ari B. Bruening and David L. Paulsen, “The Development of the Mormon Understanding of God: Early Mormon Modalism and Early Myths,” FARMS Review of Books 13, no. 2 (2001): 123–132. Paulsen and Bruening, “The Social Model of the Trinity,” 206, 228. See Mark Alan Wright and Brant A. Gardner, “The Cultural Context of Nephite Apostasy,” Interpreter: A Journal of Mormon Scripture 1 (2012): 34–38. See also Book of Mormon Central, “How is Christ both the Father and the Son?,” KnoWhy 92 (May 4, 2016). Since Paulsen and Bruening, “The Social Model of the Trinity,” 227–228 feel that “Abinadi is a candidate” for a Book of Mormon prophet with “modalist leanings”—modalism being the view that the Father and Son are merely different modes or offices shared by the same divine being—it seems significant that Wright and Gardner, “The Cultural Context,” 37, feel that “Abinadi’s explanation in Mosiah 15 of how Christ is both the Father and the Son could also be read as an example” of the Maya deity complex, where a single god was “composed of distinctive manifestations in different circumstances.” Maya deity complexes and modalism are conceptually very similar. Paulsen and Bruening, “The Social Model of the Trinity,” 193, 212. “Discourse, 7 April 1844, as Reported by Wilford Woodruff,” p. 133, The Joseph Smith Papers, accessed online at josephsmithpapers.org. This is famously known as the King Follett Discourse. An excelent lead-in to the study of the Biblical and LDS concepts of God that are indistinguishable from each other. Thank you. I guess from my military background I've always looked at "god" as a rank to be earned. The Father, the Son and the Holy Ghost have earned this rank. If I follow Their teachings, I can attain that rank as well. I use salt shakers or packets to explain how the three personages are one in purpose and mission. It doesn't matter which you pour from, you get the same result. So it is with the Godhead.